On the beautiful island of Maui, choosing the right luxury hotel is made easy by the fact that some of the best Luxury Hotels in Hawaii can be found here. 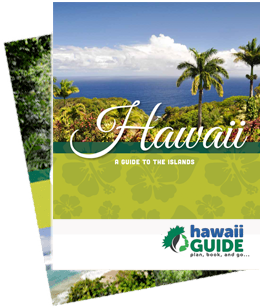 There are five main Maui Regions that offer a variety of accommodations. Most of the luxury and boutique hotels can be found on the west and south leeward side of the island, where the weather is great year-round. We have found what we believe to be the best Maui luxury hotels and featured them here in this article, to help make your choice comprehensive and easy. Four Seasons Resort Maui hugs the sun-soaked Wailea Beach of Hawaii’s second largest island and is situated just minutes from championship golf courses and luxury boutique shops. Magnificently located on 15 oceanfront acres in prime Wailea, the 380 Maui luxury hotel rooms, including 75 suites, you can create the ultimate Hawaiian vacation destination. The Resort is designed with angled guest rooms to provide an ocean view to as many rooms as possible, and the rooms are amongst the largest on Maui. The unique “Complete Suite Experience” features an array of intriguing extras such as personal attention from a Guest Experience Manager, a complimentary private in-suite dinner, daily complimentary breakfasts, unlimited laundry, welcome flowers and more. Luxury suites include the “Maile’ Presidential three-bedroom suite - complete with expansive living areas - and the popular Club Ocean-front Prime one-bedroom suite which is enhanced with a variety of Club Floor Lounge privileges. From dining under the stars at Ferraro’s Italian restaurant to the open kitchen of Duo Steak and Seafood and the lanai seating of Spago, savor inspired offerings that showcase local Hawaiian ingredients at the acclaimed restaurants that Four Seasons Resort Maui boasts. The resort Spa offers a nurturing tropical retreat where you can celebrate the restorative power of nature, relax your body, revitalize your mind and renew your spirit, and offers comprehensive wellness services. A variety of recreational activities are available at the resort including championship golf courses, stand-up paddle boarding, and outrigger canoe rides. Four Seasons Resort Maui at Wailea is an outstanding wedding venue, complete with a personally dedicated Four Seasons wedding planner, and the setting couldn’t be more idyllic at the resort for meetings and conferences, with elegant function rooms, gardens, and lawns. Whatever the occasion, Four Seasons Resort Maui at Wailea is a top choice of luxury hotel. The Ritz-Carlton, Kapalua is one of the most breathtaking resorts in Hawaii, where from the moment you arrive, you are welcomed into a secluded luxury paradise with unparalleled service and quality that exceeds expectation, delivered with warm Aloha spirit. Undoubtedly the AAA Five-Diamond Ritz-Carlton Kapalua is one of the best Hawaii Luxury Hotels. Overlooking a pristine golden-sand beach, The Ritz-Carlton, Kapalua is located just minutes from downtown Lahaina on the island of Maui. From exquisite dining experiences and the luxury of a spa treatment based on native Hawaiian healing to two championship 18-hole golf courses and a wealth of outdoor activities, look no further than the Ritz-Carlton, Kapalua which offers everything and more to the most discerning luxury traveler. Located on 54 spacious and beautiful acres, the resort features 463 guestrooms and 107 Residential Suites. All rooms have spacious lanais and all of the services and amenities you would expect from the Ritz, including plush hypo-allergenic featherbeds and convenient technologies such as LCD flat-screen televisions. Residential Suites offer kitchen areas and spacious living rooms, and the Club Level offers exceptional service - reserved for those who seek the finest experience possible. The Ritz-Carlton, Kapalua features a collection of six signature restaurants, with produce sourced from their own on-site organic vegetable and herb garden. From the culinary delights of the Banyan Tree and Kai Sushi to the more casual fare of The Terrace and Alaloa Aina, there is something to satisfy every taste. The Ritz-Carlton Kapalua boasts a 10,000-square-foot, three-tiered swimming pool with a 20,000-square-foot sundeck, a children’s pool, and luxury cabanas. There is an array of activities available including snorkeling, biking, hiking and more. The Ritz-Carlton Spa, Kapalua is one of the most luxurious spas in Maui, offering traditional Hawaiian treatments such as Lomilomi, and refreshing facials. The superior luxury resort also surpasses expectations for meetings and social functions, as well as offering the ideal location for a destination wedding. Travaasa Hana is situated in the most stunning location above Kaihalulu Bay on Maui’s secluded eastern shore, at the end of the famed Road to Hana. Ho’okipa (hospitality) is a way of life here – from the moment you arrive at the hotel you will be received in the same warm, heartfelt way that you would when arriving into a friend’s home. Guests are treated as Ohana (family), and in everything they do, the dedicated team members at Travaasa Hana deliver the spirit of aloha in a way that is as warm and welcoming as it is impeccable. The hotel was voted "No. 1 Resort in Hawaii" in Condé Nast Traveler's 2011 Reader's Choice Awards and features 70 cottages and suites, locally sourced dining, a wellness spa, and an extensive program that highlights Hawaii’s rich cultural heritage. Accommodations consist of spacious and private plantation-style Sea Ranch Cottages and peaceful low-rise bungalow Garden View Suites. All guestrooms feature organic linens and pampering amenities. To enjoy the comforting sounds of nature, and to assist in your ‘escape from it all’ the rooms are free from televisions, radios, clocks, and internet. Activities at Travaasa Hana include pilates, bicycle tours, and rentals, lei making, hula lessons, snorkeling, ukulele and more. Fitness sessions include yoga, Barre fitness, martial arts, coastal workouts and simplified fitness. The Spa features nine treatment rooms and an array of lomilomi massages, body treatments, and healing rituals, using only organic products. The resort is an excellent wedding or meeting venue, with over 15,000 square feet of flexible indoor and outdoor space. In the Kauiki dining room, the executive chef creates an eclectic dining experience that is a celebration of life and the bounty of the earth, utilizing classical and innovative techniques as well as focusing on in-season, organic local ingredients. This luxury boutique hotel, located in one of the most picturesque and idyllic locations on the planet, boasts luxurious accommodations and exceptional service combined with a warm, welcoming authentic Hawaiian hospitality. Hotel Wailea is located within the exclusive Wailea Resort Community, situated just 300 feet above sea level and is surrounded by breathtaking scenery. This luxury boutique hotel has been designed specifically for couples, with convenient access to island activities, which range from golf to water sports and beaches. Nestled on the hillsides of Wailea and set on 15 acres of immaculately landscaped grounds, a stay at Hotel Wailea is like a retreat to your own private oasis. The one-bedroom suites are designed to feel like a luxury beach abode, with the advantage of having all of the amenities and services you would expect from a luxury hotel on hand. With only 72 suites on the whole property, it is an intimate escape bathed in luxury and seclusion. The suites are spacious and feature separate bathroom and living areas, deep soaking tubs, flat screen TV and private lanais. Each suite faces the ocean and an array of views are available – from the full panoramic ocean views, partial ocean views or garden views. The rooms are beautifully designed with oak floors, coral walls, and Ohia wood features. Dining at Hotel Wailea includes an array of sumptuous options from Mediterranean cuisine to casual fare, all with a fresh, organic and local theme. Menus feature produce grown in the hotel’s very own Wailea Organics farm. Couples packages are available and some include accommodation as well as the use of a 1957 Porsche laden with a gourmet picnic lunch. Many activities are available at the hotel including kiteboarding, outrigger rides and more. Hotel Wailea is also a spacious and luxurious wedding or conference venue, accommodating from 10 to 250 guests. Escape the ordinary at Hotel Wailea. Nestled on 40 acres of lush tropical gardens fronting Wailea Beach is The Grand Wailea – A Waldorf Astoria Resort, the ultimate luxury resort with sweeping views and an extensive selection of amenities and activities. Grand Wailea consistently ranks among the world’s best resorts by leading travel consumer reports and industry peers since its opening in 1991. A major room refresh has been taking place, upgrading the facilities to further enhance your experience of the lush paradise that is Maui. These finely adorned rooms and suites offer breathtaking views of rolling landscapes, the stunning Mt Haleakala and the pristine Pacific Ocean from a private lanai, featuring fine furnishings and subtle tropical d̩ecor. Grand Wailea welcomes the active vacationer, romantic couples enjoying a getaway as well as offering fun for the whole family. The resort is located just a 30-minute flight from Honolulu and merely 35 minutes from Kahului airport, Maui. This luxury Maui resort offers the finest accommodation, award-winning Hawaiian dining, access to five championship golf courses, as well as the finest tennis facilities on the island. From the Deluxe Ocean View Rooms to the exclusivity of the Napua Suites, offering sophisticated comfort, breathtaking views, and comfortable furnishings, Grand Wailea offers the finest in Maui accommodations. The pools are large and feature waterslides, rapids, a rope swing and much more. An elegant adult pool is a romantic retreat for sunbathing and relaxation. Grand Wailea has nine restaurant and bar outlets, offering a wide variety of dining options to the most discerning traveler. The thatched-roof, long-named Humuhumunukunukuapua’a Restaurant is built over a saltwater lagoon and Bistro Molokini is a fabulous casual dining choice for families. Spa Grande offers a wide array of treatments that incorporate the traditions of the east, west, and ancient Hawaii. Romantic Maui weddings at the Grand Wailea are known for their extraordinary settings and impeccable service, and meetings here inspire elegance and excellence. The award-winning resort is located right near three championships, 18-hole, Maui golf courses, and the Grand Wailea Fitness Center is a 2,500-square-foot facility equipped with state-of-the-art cardiovascular equipment. Experience true elegance at Grand Wailea, Maui. Four Seasons Resort Lanai at Manele Bay is a luxury getaway in an exclusive island location with service that will exceed your every expectation. This resort located off the west coast of Maui on the beautiful island of Lanai, which remains the Hawaii of yesterday: unspoiled, unhurried, and unequaled. The stunning resort boasts expansive facilities, superb local dining and professional services designed to ensure that your tropical Hawaiian getaway to the island of Lanai is an outstanding and unforgettable experience. The Resort’s luxurious 236 guest rooms and suites evoke a sophisticated island feel, with each room averaging a spacious 700 feet, with many rooms featuring an ocean view, and every room complete with beautiful furnishings and the latest technology for in-room entertainment. Four Seasons Resort Lāna‘i at Manele Bay offers a fine selection of suites, including the Ohana Ocean Front Suites, and Penthouse Prime Ocean Front Suites, providing spacious living areas and bedrooms. The resort features seven dining options including everything from Italian-Mediterranean cuisine, innovative Japanese cuisine, to light fare and superb steaks. The Spa at Manele Bay provides the opportunity to re-energize, unwind and surrender to luxurious pampering with a signature experience, including massage therapies, skin care, nail services, and body treatments. The Fitness Center has the state-of-the-art cardiovascular equipment and features complimentary classes including yoga and pilates. For lovers of golf, Manele Golf Course is the premier 18-hole layout in Lanai, Hawaii, with a reputation for excellence in design and playability. Plenty of activities are available at the resort: sailing, snorkeling, diving, hiking, fishing, surfing are just some of the great things on offer. Four Seasons Resort Lanai at Manele Bay is an ideal location for conferences, events or the dream beach wedding. Specially conceived wedding packages coupled with the most idyllic oceanfront location make it the perfect choice. It is well worth the trip to Lanai to experience this ultra-luxury resort, which stands majestically overlooking Hulopo’e Bay, and offers unparalleled service and amenities combined with a unique locale. Whatever upscale luxury accommodation you choose, you really can’t go wrong in this magnificent tropical island paradise.